Buyers can stay rest assured with us for their orders as we ensure zero damage to the products that we deliver. For this, we store the entire lot in a spacious warehouse till the final dispatch. With the aid of diligent professionals and smart packaging system, we can easily render bulk and customized packaging requirements of the patrons. Also, we ensure that the packed lot has shock sustainability to circumvent loss during transit. 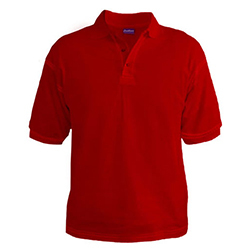 WB-1801 Sports Polo T-Shirt is made of the finest quality fabric and is available in different color options.